Unmarried fathers have the same duty to maintain their children as married dads. This article focuses on child maintenance. 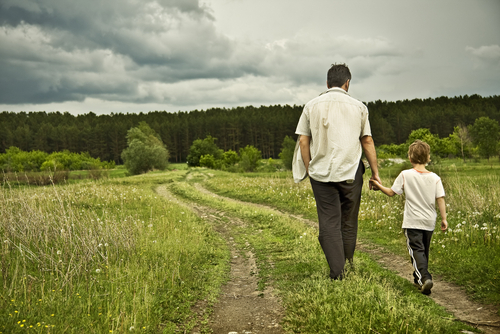 In a recent article we talked about the rights of parents, specifically unmarried fathers. A man who was never married to the mother of his child/ren does not have the same inherent rights as a married father, but parental rights are easily established, according to the Children’s Act of 2005. The Act is premised on the principle of the best interests of the child, and in most cases it is in children’s best interests to have a relationship with both parents, married or not. Child maintenance – who pays? We learn from an early age that every right is accompanied by a responsibility. What are the legal duties of parents, and particularly of unmarried fathers, when it comes to supporting a child? Who is responsible for maintaining the child and what costs are included in the legal definition of support? The law may make a minor distinction between unmarried fathers and those who were at some point married to the mother of their child in terms of rights, but when it comes to supporting the child there is no difference. Although there is considerable discussion of maintenance for minor children in the Divorce Act (indeed a court can withhold a decree absolute if the child support arrangements are not deemed satisfactory), the Maintenance Act of 1998 contains the crux of the law. The Maintenance Act clearly states that “the parents’ respective shares of such obligation are apportioned between them…and…the duty exists, irrespective of whether a child is born in or out of wedlock or is born of a first or subsequent marriage.” In simple terms, all parents carry the responsibility to financially support their children. This is the case even if conception was unplanned or the relationship between mother and father was casual. What does child maintenance include? The law takes into account the respective means of both parents, and there are no fixed amounts or minimums applied by the courts. Parents have a duty to provide reasonable requirements for a child’s upbringing. This includes food, clothing, accommodation, medical care and education. The court will take into consideration the ability of each parent to pay, and the obligation on each will not necessarily be identical. The court strives for fairness rather than equality. Equal contributions could be very unfair to one party if the other party has significantly higher earnings. However, the higher earning capacity of one parent does NOT release the other parent from the reciprocal duty to support the child. The birth of subsequent children to either parent does not lessen or dissolve the obligation to support the first or earlier-born child or children. Take the case of an unintended pregnancy in a teenage relationship. Years later the father marries and starts a new family. He is still responsible for the upbringing of the child he fathered in his teens. Furthermore, the arrival of more children on the scene may not jeopardise the wellbeing of the first child. The court’s view is that the parents should adjust their own standard of living rather than compromise that of the child’s. Furthermore, where a change in circumstances of a parent, such as unemployment, results in a considerable decrease in their ability to contribute to child support, the court may require the parent to access capital such as a pension fund or retrenchment payout. In some circumstances grandparents may even be held liable to support the child. If a parent is genuinely unable to pay child maintenance, for example if he is incapable of working due to serious illness, the duty of support lapses, but it does not lapse if someone voluntarily makes himself unemployed for the purpose of avoiding maintenance payments. Occasionally a parent’s access to a child may be restricted. This could happen if a parent’s behaviour is dangerous or detrimental to the child, either physically or emotionally. It is not completely unheard of for mothers to have restricted or supervised access to a child, for example if there is an alcohol or substance abuse problem, but it is a sad fact that it is more commonly men who pose a threat to the women and children in their lives, given the prevalence of domestic violence in our society. Some men also choose not to be involved in their children’s lives, for a variety of reasons. None of these scenarios absolve them of the responsibility to support their children. Rights may be forfeited or left unrealised, but responsibilities remain. You might think the duty to pay child maintenance ends when the child reaches the age of majority (18). This is not the case. The law states that parents remain responsible for children until they are self-supporting. So university students over the age of 18 can reasonably expect their parents to continue supporting them. However, the nature of support changes when a child reaches majority. At this stage parents are only responsible for essentials, e.g. accommodation and food. When do these responsibilities NOT apply? There are a few situations where biological parents do not carry any responsibility for the upbringing and financial support of their children. Men who donate sperm and women who donate eggs (“biological material”) are not deemed to be the legal parents of any children born as a result of this donation and do not have any responsibility to support them. Surrogate mothers who carry a child for someone else are also not entitled to parental rights, nor do they have the corresponding responsibilities, according to the Children’s Act. A maintenance order may be made as a result of a divorce decree or an unmarried mother may seek child support from the father of her child. Sometimes, despite court orders, payments lapse. This can cause extreme difficulty if the income of one parent alone is insufficient to cover the costs of raising the child. But often the parent in these circumstances…usually the mother…feels powerless to enforce the maintenance order. We can help. If you are not receiving the financial support you are owed by the father of your child, call Simon at Simon Dippenaar & Associates Inc. on 086 099 5146 or email sdippenaar@sdlaw.co.za. We will ensure you get the child maintenance you are due. This entry was posted in Child maintenance and tagged child maintenance, child support, father's responsibilities, financial support, unmarried dads, unmarried fathers. Bookmark the permalink.